Climate Science; Winning The Science Battle, But Losing the Policy War | Watts Up With That? So-called climate skeptics, practicing proper science by disproving the hypothesis that human CO2 is causing global warming, achieved a great deal. This, despite harassment by formal science agencies, like the Royal Society, and deliberate neglect by the mainstream media. It combined with an active and deliberate Public Relations campaign, designed to mislead and confuse. Most people and politicians understand little of what is going on so the Intergovernmental Panel on Climate Change (IPCC) strategy of using created science for a political agenda moves ahead. Emails leaked from the Climatic Research Unit (CRU) in 2009, exposed the practices of the scientists controlling the IPCC. They also exposed the supporters and acolytes of their deception. Many were apparently innocuous incidents or comments, but they need examination and context. Comments often seem simple, but on reflection say a great deal. Wealthy Canadian businessman, Conrad Black was asked why he wasn’t in politics. His five words, “I don’t need to be.” spoke volumes. It looks to me like Gerd Burger is trying to deny climate change by “smoothing,” “correcting” or otherwise rounding off the temperatures that we know for a flat fact have been recorded since the 1970s, but I am out of my depth (as I am sure you have noticed: we’re all about PR here, not much about science) so I wonder if you guys have done anything or are going to do anything with Burger’s intervention in Science. This email alone effectively discredits anything DeSmogBlog says. It also shows that climate science, practiced by the CRU and the IPCC, was a public relations exercise. The phrase “fend off” speaks volumes. It illustrates the battle was for the minds of the people, complicated by the fact that they, like Littlemore, “are not much about science”. I taught a Science credit course for Arts students for 25 years. I know how few know, or even want to know, about science. I taught the course by telling students it was basically about “How the Earth works” and as future citizens of Earth they should have some understanding, so they are less likely to be exploited about environmental issues. On the either side of the ledger of a broader education, I studied the ‘history of science’ and frequently gave lectures in the course. A History of Science course should be mandatory for all students. I add the empirical evidence of hundreds of public presentations and radio phone-in programs over forty years. 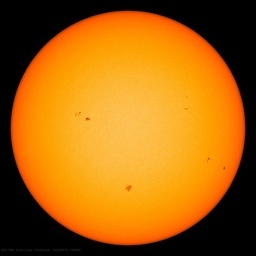 Approximately 25 percent of Americans believe the Sun orbits the Earth. The reality is, it doesn’t matter for most people; as long as the Sun rises and sets on a regular basis, it is of no consequence. One reason it doesn’t matter is because Copernicus presented his hypothesis in 1543, but the proof did not occur until 295 years later in 1838. Newton’s Theory is equally of little consequence for most, so long as gravity works and they don’t fall off. Even fewer understand anything about Einstein, including many scientists. The big change came with Darwin, as science intruded on everyone’s sensibilities. In a grossly simplistic way, opponents of Darwin argued that he was saying your grandfather was gorilla. It changed academia from two faculties, Humanities and Natural Sciences, and added the third and now largest faculty, the Social Sciences. Several years ago I was invited by a group of retired scientists in Calgary to form a group opposed to the Kyoto Protocol. Their concern was the inadequate science behind the planned policy. Located in Calgary, with some of them employed in the oil patch, they faced a dilemma of credibility. They chose to stick strictly with the science – a decision I supported. They did, and still do, marvelous work and gathered support, but were marginalized early when a very small donation from an oil company undermined their credibility. It is a classic example of the power of PR and politics over science. Another proof was the remarkable success of Gore’s movie produced by Hollywood, the masters of PR (propaganda). 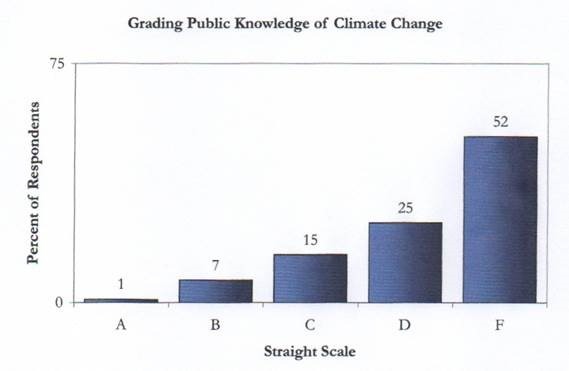 A study by Yale University produced startling results about public knowledge of climate change. Figure 1 shows the actual results, with people graded, as if for a school exam. Only 8 percent scored A or B, while 77 percent received D or F.
To further adjust for the difficulty of some questions, we constructed a curved grading scale as an alternative scoring system. There is no justification for applying “a curved grading scale”. Figure 2 shows the result. Now only 27 percent fail and 33 percent have an A or B. How could the questions be too difficult? That adjustment condemns and negates the entire study. Some of the questions were badly worded and analysis was wrong because the authors didn’t know climate science. Regardless, the results are definitive and the problem falsely amplified by questions being difficult. Who decided they were difficult? A cartoon (Figure 3) appeared in the September 1, 1977 issue of New Scientist. How many people would understand the joke? Maybe the few who read the accompanying article about the Milankovitch Effect, but not many others. Indeed, Milankovitch effects are not included in IPCC models. It is likely that at most 20 percent would understand. 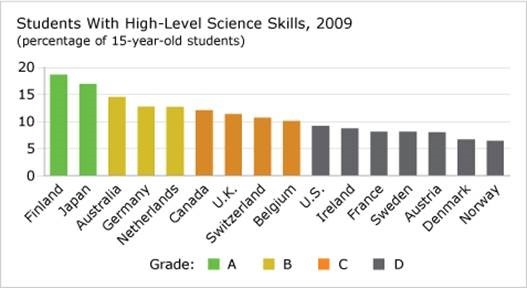 Figure 4 shows the percentage of students with High Level Science Skills in many countries. 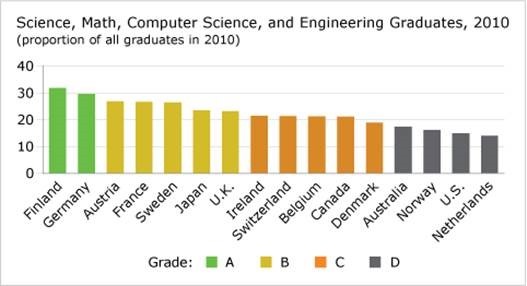 Figure 5 shows slightly higher percentages of Science skills of University Graduates – a select group. 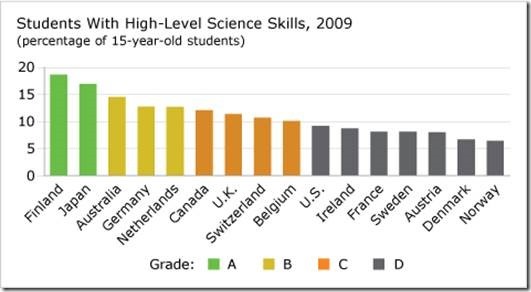 Lack of science abilities or training extends to several important sectors, for example, lawyers and politicians. 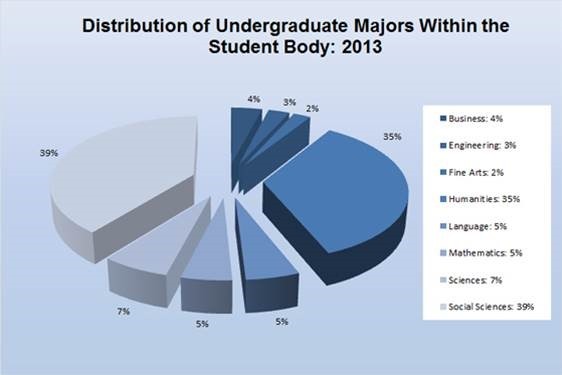 Figure 6 shows that 12 percent of law students at the University of Michigan were science and math graduates. The mainstream media is the major group that failed society in the global warming debate. They abrogated the role of probing, investigative journalism, expected of them by the US Founding Fathers. Nothing was done to disavow people of their misunderstanding. In fact, it is reinforced with incorrect statements by the IPCC. 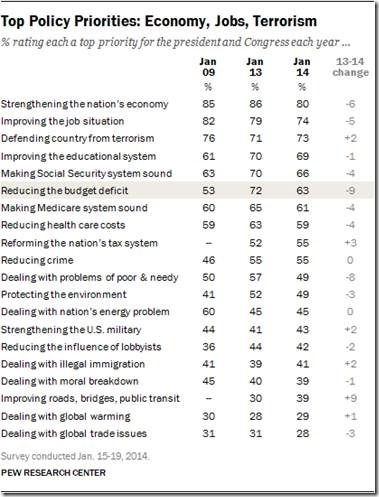 A Pew Center poll (Figure 7) is representative of public opinion and places “dealing with global warming” very low (19 out of 20) on their list of concerns. • Confused by contradictory evidence. • General suspicion of governments. • Feeling there is nothing they can do about it anyway. All this creates a dilemma for politicians. They are still afraid of accusations that they don’t care about the planet, the children, the future or any of the other emotional threats used to steal the moral high ground. From their perspective they are trapped between jobs and the economy or the environment. This seems simple and obvious, but environmentalism as a religion makes it very challenging. Beginning with the US Senate vote on ratifying the Kyoto Protocol politicians profess concern about the environment, but opt for jobs and the economy. …the US Senate voted 95-0 against signing any treaty that would “cause severe economic damage to the US”, while exempting the rest of the world. Western politicians put on the cloak of green and remain afraid to discuss anything otherwise. A panel established by the Indian Prime Minister offset the morality issue in a different way. “… the Prime Minister’s Council on Climate Change, said India would rather save its people from poverty than global warming, and would not cut growth to cut gases. The important connection between the two quotes is the opposition to inequality. Kyoto took money from Developed Nations, for their sin of producing CO2, and gave it to Developing Nations, to help them deal with the negative impact. None of this, either the claims of the IPCC or the counter claims of the Skeptics, has anything to do with the science. Maurice Strong and creators of Agenda 21 and the IPCC are not concerned. The entire structure was designed to bypass politics and needs of the people. Bureaucracies continue apace to implement the goals of reducing human CO2 producing activities. The key was the role of the World Meteorological Organization (WMO) that put weather agencies in every nation in charge of energy policies. They are proceeding with plans to achieve the goal. 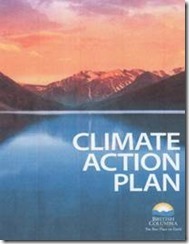 Figure 8 shows the cover of a Climate Action Plan for the Province of British Columbia. A Climate Action Committee produced the Plan as the government website describes. 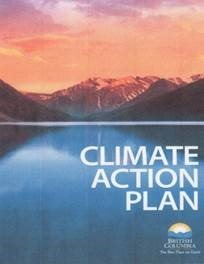 British Columbia’s Climate Action Team was established in November 2007 to help the government reduce provincial greenhouse gas emissions by 33 per cent by 2020. It was made up of some of the province’s best minds, including nine world leaders in the climate sciences. The nine included Andrew Weaver, contributing author for the computer modeling section of four IPCC Reports. (1995, 2001, 2007 and 2013). The Plan is being implemented by visits from the Provincial government to municipalities. After one such visit I was invited by residents of Mayne Island (one of the Gulf islands) to make a presentation. They were angry because the government visit involved a screening of Gore’s movie followed by proposals to change policies and practices on their island. This involved discussions about banning all motor vehicles and eliminating roads. The Plan is based completely on the findings of the IPCC. It includes a carbon tax and requirement for Smart Meters among other things. Weaver provided an insert shown in Figure 9. Gordon Campbell was Premier of the Province when the Climate Action Plan was introduced. He knew that control and power lay with the bureaucracies. In his first term he introduced wide ranging new legislation. He knew about the gap between what politicians intended and what the bureaucrats implemented and assigned one or two politicians to monitor implementation in each department. Bureaucrats tolerated this knowing they’d survive the politicians. As Strong planned and Weaver predicted, others are joining. Environmental Protection Agency (EPA) information on how States and lower government levels establish a Climate Action Plan is shown below. Learn how to develop a climate change action plan for your community. A climate change action plan lays out a strategy, including specific policy recommendations, that a local government will use to address climate change and reduce its greenhouse gas (GHG) emissions. Examples of climate change action plans developed by local governments are listed below according to their states. EPA based its plan on the science of the IPCC that skeptics proved was wrong. The only opposition to these plans will come from lost jobs and economic failures. Either the British poster in Figure 11 will persuade people and politicians, or, the clever word play of a bumper sticker will prove true. July 24, 2014 in Opinion. Many folks are still not able to fully understand the equation. I thought it was mostly about the degree to which human generated CO2 _may_ be causing _some_ global warming. That was the consensus I saw in the ICCC9 coverage videos when an in formal vote was taken. The high number of scientifically literates in Germany doesn’t preclude us from falling for green scams. There’s a particular ignorance that makes people not investigate for themselves what they deem to be “in the right hands”. The Green isn’t Working poster will backfire in the UK. It appeals to those who voted for Maggie Thatcher in 1979 (it echoes the wittier “Labour isn’t Working” poster). But she is a very divisive figure in the UK. The poster will spread the message that AGW scepticism is a right-wing policy decision. And will be rejected by all reasonable people who recognise that the real world works without recourse to political party. It makes scepticism look like wishful thinking from yesterday’s right-wingers. The real problem, Courtney, is that the real world does NOT work without recourse to political party. That’s why we’re losing the Climate Policy War, as the header says. Warmism is now hard-core, left-wing Dogma across the world, and you will never, ever, NEVER, get any dedicated leftist to oppose it. Not where you live, not anywhere. There identity is bound up in this issue. So, if you oppose the “Global Warming” agenda you are going to be labeled “right wing” no matter what. So why worry about it? Embrace the people who are willing to join you in the fight. There is no middle political ground anymore in this fight. The left has seen to that. So choose your side, and live with it. Like the bell curve on Climate science, the bumper sticker is also relative. The liberals in the lower 48 say that it is working. I went over the Yale examination, which for many items appeared to more an opinion poll than exam, and marveled at its alarmist biases. Among the many: the earth’s climate the past 10,000 years has been unusually stable compared to the past million years. Wasn’t the Eemian interglacial just 125,000 years ago just as stable or more? It was certainly warmer (3 to 5 C), and sea levels up to 30 feet higher. 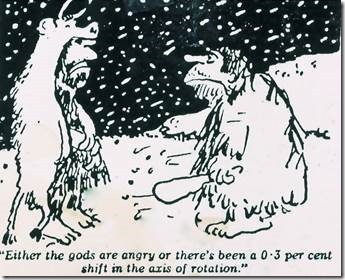 And there were previous interglacials quite similar to the present arising at regular intervals the past million years. It seems the Yale scientists were unaware of this simple, well established aspect of recent climate change. Another was the relationship of rising CO2 to temperature. While recognizing that one aspect is that temperature increase has sometimes preceded CO2 increase, they failed to note that many times temperature has been low when CO2 was high, and vice versa. And that temperature has gone down at times when CO2 was still rising. The most egregious error in their test was that recent temperature increase is over 50% human caused. The best support that can be found for that is inferences, i.e., we’ve ruled out all other causes (really? ), so it has to be caused by human burning of fossil fuels. It would seem any scientist worth his grant money would note that the current 17-year 10-month “pause” while CO2 has risen at its sharpest rate yet for the past 100 years has falsified the anthropogenic global warming hypothesis. 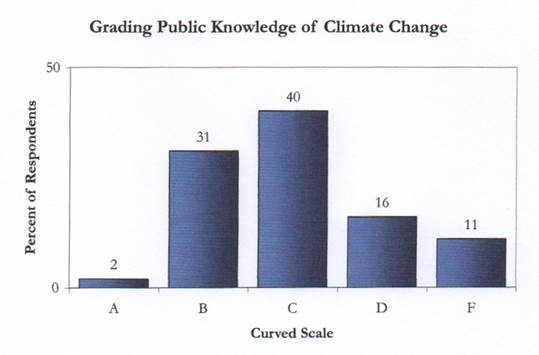 I agree with the Yale examiners that Americans for the most part are science illiterate, but I also postulate that many scientists, as exemplified by the Yale exam creators, are climate change history illiterates. I’m afraid that Dr. Hubert H. Lamb, father of the East Anglia Climatic Research Unit, must be lying uneasy in his grave. Agree about the poster, I voted for MRS T at least couple of times, couldn’t really see Mr. Foot as a leader of a great country, but I digress, even more so I dislike the barbed fence, subconsciously a reminder of a c. camp, reinforces d. word. I would strongly advise to be withdrawn as soon as possible, and thought inappropriate to be on the displayed on the WUWT blog in support of the sceptic cause. wws: This division of warmists into the leftist camp and skeptics into the non-leftist camp is a direct result of the Marxists taking over the green movement when the USSR failed. Dr. Ball’s argument is unnecessarily demoralizing. It implies that it does no good to “win the science argument” since CO2-reduction policies continue to make headway. However, this is a misleading way to look at it. “Winning the science argument” can mean having a better case or it can mean convincing the people whose opinions matter. At present, we may have won the science argument in the former sense, but definitely not in the latter sense. When enough climate scientists have switched, we will have won the science argument in the latter sense. At that point, the anti-growth CO2-reduction policies will be deflated, because the underlying strength of these policies at present is the belief among politicians that the science is settled and only a few crackpot dissidents question the catastrophist line. I think we can discern that we are winning the science argument in the latter sense, but it will take a few more years. If so, this means that ten years from now, most “climate scientists” will say that the warming caused by human CO2 emissions is not dangerous. Then the harmful anti-growth policies will fall away. Right now, however, it is feasible for most politicians to sincerely believe that the science is settled and that skepticism is equivalent to flat-earthism. I am saying that if we win the science debate, the policy debate will sort itself out. Two observations 1) It is important that the truth is not an oscillatory output, but a continual (honest) output. 2) IMO the balanced and honest climate change knowledge will be accepted socially and politically in the same manner as most issues are: closer to logarithmically than linearly. As shown in Vegas, the steam is just starting to build. Sometime later, this whole fiasco will serve as a lesson on how not to go about doing things. The scientific method will be solidified. . Thank you Dr. Ball. Your excellent article should be required reading in every school. The Hi michael email cited, does not illustrate that “they” (by which I presume that you mean ‘the Team’) “are not much about science”. Againn when Littlemore mentions that he is trying to “fend off” that is a reference to him (Littlemore) being all about PR and not much about science. You might be right that ‘the Team’ are not much about the science, but that is not established by the Hi Miachel email written by Littlemore. Some of the questions were badly worded and analysis was wrong because the authors didn’t know climate science. Regardless, the results are definitive and the problem falsely amplified by questions being difficult. Who decided they were difficult? If this decision was made without proper statistical analysis, the study is worthless – the decision amounts to confirmation bias. The accepted statistical test for evaluating the quality of questions on a test is the Kuder and Richardson Formula 20 (KR20), a derivative of the Cronbach’s Alpha test. If a particular question fails the KR20 test then it should be thrown out, not curve graded as the curve most certainly introduces bias. Alternatively, the question should be reworded or fixed and the questionnaire given again. Their approach fails on several levels. It amounts to making stuff up. All that the “left” needs to do is prove that human activities cause global warming, which is still only a hypothesis. We do not know this as fact and they haven’t come close to proving it. Questions from “them” like “How do we hide the fact that it’s not warming”destroys the AGW movement’s credibility. Good article. I live in in BC and have to live (and pay) for the absurdities of the “Climate Action Plan”. There are far too many crazy things in this plan to list. Unfortunately our high standard of living makes us too complacent to protest. BTW, Andrew Weaver is our only Green Party MLA (member of the legislative assembly). Says everything about his “science”. No wonder most people got a D or an F if they marked correct answers wrong! “The world is currently cooling” – um, have a look at RSS or to a lesser extent HadCRUT4! Thanks Dr. Ball. I really appreciate your work. I enjoyed this article except for the part about the public knowledge studies. Is it just me or is anyone else having trouble understanding what the charts are about? I am having a bit of trouble understanding exactly what the Yale studies were and your criticism of the questions. Of course I could go read the study, but can’t read every reference for every article I read in order to understand–maybe next time a sentence or two more for clarification-. writing to the person who has not read the studies? Thanks, though–I do appreciate your efforts. We’re drowning in warmunist mis-information and starving for probity in our elected “representatives” and unelected bureaucrat shadow-government. The real problem, Courtney, is that the real world does NOT work without recourse to political party. That’s why we’re losing the Climate Policy War, as the header says. Warmism is now hard-core, left-wing Dogma across the world, and you will never, ever, NEVER, get any dedicated leftist to oppose it. Not where you live, not anywhere. Their identity is bound up in this issue. I meant the real world will warm or not regardless of the words of man. If the alarmists were right then the world is doomed. I don’t think they are. But our dispute doesn’t change the weather… unless Harry Potter is an alarmist. Also, splitting the debate into left-right means that the debate is nullified. There is no end to the debate as both left and right have decent enough cases and so the current political society has lasted ever since the working classes got the vote. Yet, if the science is wrong the debate should end. Alarmists Win: Empiricists Lose – Because rhetoric doesn’t require measurements. Do not choose politics over science. I hadn’t twigged the concentration camp imagery. But you are right, in my opinion. Mods – Antony: Perhaps you should ask a British Sceptic like the good Bishop Hill (Mr Montford) about mine and Vuk’s concerns? He is far to the right of me (I’m not calling him extreme) and may provide some local perspective to help resolve our concerns. 1. The burning of biomass creates considerably more CO2 than burning coal, let alone gas. It is not carbon neutral, since all that is being done is to cut down an existing carbon sink, and replace it with the very same carbon sink. They would need to replace the current existing forestry sink with a larger sink to take account of the additional CO2 produced by burning wood. Put simply, If the trees were never cut down in the first place, they would act as a sink for CO2 emissions say from coal, and coal is producing less emissions than does wood. 2. Windfarms do not reduce any CO2 since they requires 100% backup (from fossil fuel generators) due to its variable nature sometimes producing less than3% of its installed capacity. Typical average output is 25% of installed capacity, suggesting that the conventional backup is needed 75% of the time. You might naively think that this would result in savings of some 25% of CO2 emissions, but you would be wrong. Because the fossil fuel backup generator is not running at steady load, but instead constantly has to ramp up/ramp down, the fossil fuel powered generator produces as much CO2 as if it were running at steady baseload capaity all of the time. It is like urban driving mpg compared to motorway/freeway mpg. additionally, diesel generators are also employed to stabilise the grid and these produce even more CO2 than a well designed fosssil fuel plant. 3. Carbon Credits/taxes does not cut CO2 on a global basis. It merely adds price to every thing that the consumer has to buy. At most it redistributes where CO2 is produced with energy intensive industries relocating abroad. 4. The only action that would cut CO2 is to in the short term switch to gas (as the USA has done and this is the only developed country that has substantially reduced its emissions), and at the same time go nuclear (it taking 8 years or so to get such power stations on line). The only viable option is nuclea and that would have to be the mainstay of any policy to reduce CO2. 5. In addition, if one was very concerned one would create some new carbon sinks by vegetating what is presently scrub lnad. 6 if really really concerned, one would ban public transport outside rush hours (most of the days a bus that can carry 60 passengers only carries a handfull of passengers and public transport produces vast amounts of CO2 in relation to passenger numbers outside rush hour periods), and/or reprogramme all traffic lights so as to improve traffic flow (you can be on a major road at 4am being the only car in sight and have to wait about 4 mins for the ligjhts to change). 7. If you wanted carbon capture, nature has solved it, it is called trees. Build a new power station and plant a forest. None of the policies implemented reduce CO2 emissions so if the science was the issue, governments would switch to gas and go nuclear ASAP. The policy response (indeed as is shown from the fact that the summary for policy makers is prepared before the IPCC science report is fully written, and is written not by scientists but by politicians, and their NGO advisors) confirms it is all politics, not science. It is definitely not a matter of “left” or “right”. It’s a matter of common sense. 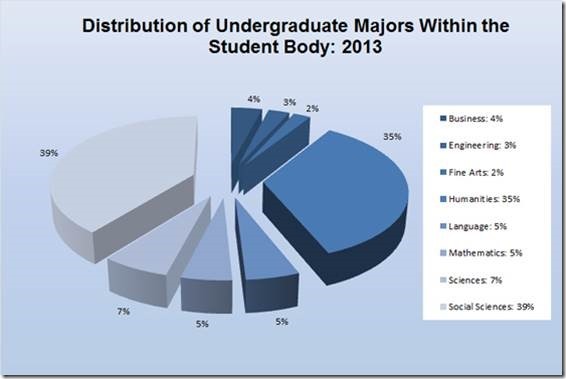 39% in 2013 major in Social “Sciences?” 35% in humanities? I didn’t know if we have enough Starbucks and Hooters to employ them all. Every prediction by these low life Liberal scientists has been an out right lie. Liberals are liars. If Liberals didn’t have their lies to live for, they would have nothing to live for. That is how sad this really is. When Liberals lie, they serve no one. It’s time to stop this charade of Global Warming right now! Antony, Sorry. You make a fair point. I should have noticed that the author of the article wasn’t you… whoops. I asked you to seek a third opinion because I thought you had a dog in the fight and, obviously, I wouldn’t demand you bow to my whims. Maybe Dr. Tim Ball will take my advice and seek a local (UK) perspective on that poster. So my conclusion to this question is: More important than the left/right division is the partition of people in conformists (usually a broad majority in any society) and non-conformists. Only the latter group is psychologically able to think independently from the ruling main-stream opinion. Wonderful essay. Thanks for your effort on this issue. The reason that scientific truth is making so little progress is that collectivism as a paradigm has overtaken the modern world. Since centralized control is the goal of so many leaders and the mainstream media, it is little wonder that it would take a 5 mile high (or is that deep?) glacier over the whole northeast to get people to see there is no catastrophic warming going on. Well, according to the definition of climate change promulgated by the UN and stated in the article, I’m definitely on the “I don’t think so…so call me a denier” side of things. As to ‘climate variability’…duh! it’s so blatantly obvious that you’d have to be made of stone not to notice it. Oh puhleez! We get your family hatred for Maggie but Tony Blair saw nothing wrong with building on her legacy. Tim Ball here illustrates well how Global Warming (and let’s not get distracted with propaganda phraseology Climate Change) has become an entirely political enterprize. Hey, what happened to the italics? Did they all cross the Rubicon? Here’s the thing that boils my behind. The Courtneys of the world count themselves as politically “reasonable people” and anyone who disagrees is with them a “right-winger” from yesterday. Yesterday in the UK was a Marxist hellhole. an informative essay from my perspective,but i really do despair when the disagreement is simplified as a right and left issue . i would consider myself left of centre ,yet that has no bearing on my scepticism regarding agw . science will win the day in the end ,whatever the outcome . if the body of evidence becomes so great there can no longer be a case for agw (many including myself would suggest it is currently so),scientific and public opinion will change .it appears there is a steady stream of papers emerging offering ideas not in line with the current outlook. many include a hat tip to agw as i would expect, but there will be no overnight change. as the evidence to the contrary builds (or not) so will opinion. i would agree with some commentators that some of the imagery used in this post would not go down well in europe . The mainstream media have done much, much worse than failing society in the global warming debate by abrogating their role of probing, investigative journalism. They have engaged in a disgraceful and relentless campaign of FEAR reminiscent of the medieval inquisitors. Two of the current champions of FEAR are the publically funded British Broadcasting Corporation and the Australian Broadcasting Corporation. If you asked Mr Ladbroke or Mr William Hill what the chances are of you or your grandchildren or your great grandchildren or even your great great great grandchildren ever seeing evidence of pollution from aliens in outer space, I am sure you could get odds of a million to one. Stand by for the next James Cameron blockbuster. A visit from the last of the Na’vi from distant Pandora to stop it happening to us. Strangely enough I started reading your book last night, The Deliberate Corruption of Climate Science. The ossification of government funded science into a cultish branch of the official state religion, is possibly the reason citizens score so poorly. The CAGW clowns have all ready lost, that is why Maurice Strong is hiding in China. Grauniad is way out in front with Orson Wellesian hysteria. For a long time, due to the way that boundaries have been drawn, the Conservatives have had to poll about 4 to 6% more votes (on a national basis) than Labour have to poll in order to form a majority government. That in itself is an utter disgrace in a so called democracy which uses the first past the post system of voting. Boundaries should automatically be redrawn every year so that the two main parties need only capture the same percentage of the national vote to get a winning number of seats to form a government. But returning to Thatcher, given that she needed to poll an additional 4 to 6% more than Labour, and given that she won 3 straight elections on the trot, it is obvious that she enjoyed wide spread support, not just support from traditionalist Conservatives. For the main part, she had plenty of appeal to the ordinary working man (but not the die hard trade unionist). She therefore actually represented the middle ground in politics. In contrast, Nu Labour who are far more left, seem to be somewhat of a turn off to the ordinary working man, and are reliant mainly upon the 20% plus who are on benefits, the immigrants and the hard left, and they do not represent the middle ground. If Scotland were to vote for independance, Labour would be wiped out, since they have not enjoyed a majority in Engalnd and Wales since the 1950s. Climate Change ought not to be a political issue, but of course it is. It will take longer to disentangle politcis from Climate Change, than it will take for the science to correct itself. My father was a leftist. Today he is rolling in his grave. April in Toronto for an 85th birthday party given for him. Initially this reads as a non sequitur. It might be helpful and reduce potential confusion to relabel the figure, or textually clarify, that the figure refers to the “Law School student body” rather than the undergraduate student body, itself, as a whole. Their failure is of epic proportions and commenced the downhill slide when “traditional journalism” morphed into “advocacy journalism” at our most prestigious schools of journalism. We may never recover from this mortal blow. Follow the link to the photos. In a case where a minority seems like a majority, that’s climate science. If it wasn’t listed as a concern among Americans, it wouldn’t only be dead last, it wouldn’t even be considered. The only thing keeping this dead horse breathing is the AGW community beating the drum and breathing down the neck of politicians. Excellent article. Personally, I don’t think Americans are as stupid as AGW assumes. It is easy to play the stock market and look like a wizard when it is going nowhere but up. It’s easy to claim AGW when it is warm. It is another story when the market drops along with the temperature. AGW climbed up this hockey stick with no way back. Some see my article as depressing. It is the reality and it’s unfortunate and depressing if they find that depressing. A problem is only a problem if you are unaware of it. I am saying, if we acknowledged the reality from the start and presented the science in a way the public could understand, we would not face the results of exploitation of the science and bad policy today. Thanks Dr. Tim. Great article and spot on. Agw is political. The being shoved down our throats are insane and obviously useless. Thinking we can controll the weather is laughable and sad . The AGW bed wetting in the West is irrelevant in the big scheme of things. Africans – members of the only continent in the world that has a rapidly expanding population and thus set to inherit the future – don’t care about AGW. The BRICS (Brazil, Russia, India, China and South Africa) have and are still busy – in Fortaleza – reorganising the world economy to their own advantage. With 40 % of the worlds population and a combined GDP exceeding the US and the EU combined the BRICS have begun to set up their own banking system apart from the World (US) Bank dominated system in operation since WW2. The BRICS have signed multilateral energy and technology trading agreements – China will be building Brazils new reactors for example and Russia has signed a deal to supply natural gas to China for 40 years. So whilst the watermelons in the West impoverish their own people and eviserate their economies, the BRICS will pay lip service to the UN as long as the cash keeps coming in – they are “developing” you know – at the same time as they give Maurice the finger regarding energy extraction and production ( India and China are busting ahead with coal fired electicity production). The BRICS will continue doing what people in the West used to do – make stuff and prosper. Never fear people, Maurice and Co will fail, as have all socialist masterminds. As Mrs T said “the problem with socialism is that you eventually run out of other peoples money”. The West is technically insolvent and so is the UN. When the currency printing presses stop, as they must eventually, the wheels fall off the green-mail train. You don’t have to be a climate scientist to predict this. The temperature at a height of 700 hPa show that the circulation over North America is very similar as it was winter. Approximately 25 percent of Americans believe the Sun orbits the Earth. Probing a more universal measure of knowledge, Gallup also asked the following basic science question, which has been used to indicate the level of public knowledge in two European countries in recent years: “As far as you know, does the earth revolve around the sun or does the sun revolve around the earth?” In the new poll, about four out of five Americans (79%) correctly respond that the earth revolves around the sun, while 18% say it is the other way around. These results are comparable to those found in Germany when a similar question was asked there in 1996; in response to that poll, 74% of Germans gave the correct answer, while 16% thought the sun revolved around the earth, and 10% said they didn’t know. When the question was asked in Great Britain that same year, 67% answered correctly, 19% answered incorrectly, and 14% didn’t know. So Americans were beating the Germans and the… Greater British, so what happened? On the question Does the Earth go around the Sun, or does the Sun go around the Earth? (ignore the epicycle enthusiasts going into spastic fits), the US at 74% in 2012 beat out the EU at 66% in 2005, India at 70% in 2004, and Malaysia at 72% in 2008. We were only beat by South Korea at 86% in 2004, and since then South Koreans have been developing and promoting more girl and boy pop bands while doing it Gangnam Style with Psy. Check the table. 1 in 4 is actually pretty dang good, and that’s with a yes/no type question without a third option, and likewise Americans still rank high. Don’t know what you people have read, but I had learned it was the entire Y chromosome which contains a multitude of genes. Only now am I learning there’s an “SRY gene” on the Y chromosome. I could easily have gotten that wrong. Which doesn’t hide how this is an incredibly vile bigoted insensitive question, as the State of California has determined what decides if a baby is a boy or a girl is the baby themselves, once they’ve developed enough to indicate their preference. Obama had better make a few calls and rein in this arrogantly incorrect NSF, as science and evidence no longer matter, personal perception is what is most important. Read what I wrote and you’ll see I am correct about that poster, using Thatcher’s legacy, being divisive. The real world does work without recourse to political party. King Canute demonstrated that. All reasonable people will agree with that – regardless of political affiliation. Yet this poster calls back to Thatcher and equates Green policies with Labour policies. -That is divisive (it won’t appeal to anyone in the UK who isn’t a Tory). -It is also stupid as the majority (unaligned) will see that you can’t legislate the planet to warm or cool. Green concerns are not equivalent to political concerns unless you abandon the science. The poster is the UK’s equivalent of the Unabomber ad by Heartland. A calamitous own goal. Emails leaked from the Climatic Research Unit (CRU) in 2009, exposed the practices of the scientists controlling the IPCC. They also exposed the supporters and acolytes of their deception. Many were apparently innocuous incidents or comments, but they need examination and context. Comments often seem simple, but on reflection say a great deal. Wealthy Canadian businessman, Conrad Black was asked why he wasn’t in politics. His five words, “I don’t need to be” spoke volumes. Inevitably, the egregious and anonymous troll who posts as “wws” used your essay as an excuse to attempt to induce divisive attacks between climate sceptics: such attempts are the troll’s main activity on WUWT. Then, that was followed by richard verney attempting to induce irrelevant and pointless defence of the long-ago and best forgotten Thatcher governments in the UK: some die-hard Thatcherites still mumble into their pints while sitting in darker corners of Conservative Clubs, but even the Conservative-led UK government now tries to pretend that she and her policies never existed. Maurice Strong and creators of Agenda 21 and the IPCC are not concerned. The entire structure was designed to bypass politics and needs of the people. Bureaucracies continue apace to implement the goals of reducing human CO2 producing activities. The key was the role of the World Meteorological Organization (WMO) that put weather agencies in every nation in charge of energy policies. They are proceeding with plans to achieve the goal. Yes. And the “plans” are tailored to fit the different political and statutory situations in different countries. These differences are why there is no unique solution to the problem of opposing the bureaucratic imposition of “goals of reducing human CO2 producing activities”: what is right in one country may be very wrong in another. M Courtney and vukcevic illustrate this because one opposed Thatcher and the other voted for her, but both see it would be self-defeating in the UK to use a poster which reminds of one of Thatcher’s election campaigns. In my opinion, it is imperative that the real issue you have raised is discussed with a view to practical opposition to the bureaucratic activities. The advantages and limitations of specific actions require evaluation for use in specific countries, and it is imperative that expressions of silly political prejudices be prevented from disrupting this important practical discussion. To oppose the bureaucracies or not to oppose the bureaucracies: that is the question. And – with apologies to the bard – we need to expect we will suffer slings and arrows of outrageous fortune while trying to find effective ways to conduct the opposition. Unity IS a strength. Those who would divide us need to be ignored or reviled. Comparison of ice in the Arctic on July 22, 2013 and 2014. visible a higher concentration of ice in 2014. The more accurately, systematically and persistently someone proves Mr Chicken Little wrong, the less truth matters. The reason is within our heart: who’d want to join a gang plucking Mr Chicken Little of the week? For this reason, in my opinion, it’s more compelling to take a stance defending fundamental rights. Yes, it’s more about politics, but who insists that it’s all about science? It is standard practice to rework a successful advertisement, regardless of the ideology, the message, or the product behind the original work. I think you will like that one. I personally didn’t like Maggie. She did, afterall, help launch the successful international crusade against CFCs, while kick started the international crusade against hydrocarbons. What was there to like? But Tim’s poster doesn’t offend me at all. The line of wind turbines made to resemble barbed wire is very clever. Good article too. To your list of science that is of little practical importance to most people, you might add the theory of evolution. Of course, it should be taught in schools, but it would be much more useful for the development of students’ critical faculty if they had the chance to discuss and figure it out for themselves instead of teaching it as dogma. Khwarizmi says July 25, 2014 at 1:39 am… Tg eproblem is that the ad opens the door to accusations that Peter Lilley, Nigel Lawson and the GWPF are just old Thatcherites who can’t accept the world has moved on. Most people have no political affiliation and they will easily accept that hypothesis. Especially if the debate is framed in a “harking back to Thatcher” way. My objection to the Ad is that it works against its own case (supposing it wasn’t made by the Guardian as mickey-take). If my post at July 25, 2014 at 12:59 am leaves moderation (I don’t know why it is there) then hopefully the graph issue can be left behind and the thread can concentrate on the practical problems addressed by the above essay. Dr.Ball: Thanks for the essay. From Propaganda (1928!) by E. Benays: ” The conscious and intelligent manipulation of the organised habits and opinions of the masses is an important element in democracy. Those who manipulate this UNSEEN (my emphasis) mechanism of society constitute an invisible government which is the true ruling power of our country”. That’s why Conrad Black answered as he answered. Thanks again. The reason why chinks are slowly appearing in western MSM is because the huge cost of the ‘green’ agenda is just beginning to be felt, and since western governments are insolvent (having run out of other people’s money), and the citizens themselves are strapped for cash and facing a cost of living crises (some have lost jobs, others have seen wages not keeping up with inflation), people are questioning the policy response and its costs. Since this is a real issue for the people, MSM is beginning to report on that, and at the same time, ever so slowly a bit of the conflicting science is also printed. The developed world are facing a big problem in that they are less competitive than the deveoping countries, business is now truly global, and can easily shift to places where costs are lowests, goods can be ordered over the ether (the internet), their population is aging with immense future health/care costs looming, most citizens have not been able to save properly for their retirements because when working they were over taxed, and the government has not put enough of the tax taken aside to fund pensions, they are being overwhelmed by immigration, much of which (but certainly not all) is a drain on their welfare systems, and will require huge infrastructural investment which governments do not have the money to pay for. The US is fighting a desperate battle to keep the dollar the international currency of choice. Most goods, on an international basi,s are traded in dollars, and the US earns a very small slice of the action even though the trade has nothing to do with the US. Should bitcoin, or the like, become an international currency, then the US will lose an important little earner. This is why the BRICS are trying to set up their own currency, and was one reason why the EU adopted the Euro. Now I am not a US citizen but a lot of US companies have huge piles of foreign earnings that they cannot repatriate to the US without paying significant tax. The US Government should exempt any money returned to the US and invested in business say within 5 years, ie, the money cannot be brought back and paid to shareholders, but can be brought back and used to set up a new business venture, expand existing business ventures. This would result in jobs, and bringing down the jobless reduces government expenditure, and leads to tax revenues from those being employed. It is madness that US companies are not allowed to repatriate this money, and it obliges them to invest overseas money overseas, thereby giving foreign countries a new revenue stream, and providing the US with more competition. The problem is that governments want to sieze money for their pet projects, whereas it would be much better to let the market and free eneterprise get on with things. Gvvernments of all ilks do not understand how companies work. Here in the UK, there is much discusssion about companies not paying their fair share of tax, earning billions, but pay tax of just a couple of million. But companies pay no expense (including tax). All expenses of a company (that is not trading at a loss) are passed onto the customer who uses their services or who buys their goods. It is the consumer that pays everything. If companies are forced to pay more tax, then it is the consumer who pays that bill, a BigMac meal will not be £4.99 but £5.25, a coffee from Starbucks will not be £2.99 but £3.20, to list on ebay will not cost say £10, but will cost £11 etc. The consumer will face all of these extra tax bills. Recently, it emerged that last year the UK government collected about £49 billion in green taxes, equivalent to about £1,600pa for every family in the UK. The government spin on this is that businesses pay the vast majority of this tax, and the average family pays only about £400 pa. Not so at all. Unless a business is trading at a loss, it means that it has passed all of its expenses onto the consumer (including the green taxes that the company has paid), hence the true cost to the British consumer is the full £1600 pa. The consumer does not realise it because it is just one penny on a loaf of bread, a few pence on a bottle of wine, 5 pence for a plastic bag to put your shopping in, a few pounds on the cost of a car tyre etc, but eventually it bleeds £1600 pa from everyone. And green taxes are very much on the rise, especially in th energy market and waste disposal markets. It will not be long before it is £2000 pa, and that is a significant amount of most peoples NET take home pay. In the UK, there is an argument about energy bills. The government spin is that only about 7% of the bill is green taxes/subsidies. Whereas, in fact, as far as electricity is concerned, the green agenda accounts for about 52 to 58% of the bill total. 25% of the bill is made up of infra structure charges but those costs are connecting windfarms (which are located in remote areas) onto the grid!. About 1o% is to help subsidise those on low incomes who cannot afford the high costs of energy, but if energy prices were to be slashed, the number of people who could not afford to pay the bill would be drastically slashed and hence that element would largely disappear. Coal cost only about £50 per Mwh, whereas wind £155, and emergency diesel generation costs over £1000 per Mwh, and can cost upto £4,000. The actual cost of supply, which accounts for only about 48% of the bill would be signifcantly reduced if the energy companies were not forced to pay the high costs for wind, and sometime for emergency diesel to balance the grid. Of course, all of this has yet to come out. If journalists were doing their jobs properly it would already be in the public domain, but there are only a few minority journalists like Christopher Booker writing on these issues. So the public as a whole, are not well informed. But as expenses of this ilk continue to spiral out of control, it will come out, and the public will then be informed of the true costs of the green agenda, and will be shocked. There will be a huge public back lash on this issue, especially since it is clear that there has been government incompetences and establishment cover up. Those issues rile the majority, so one can expect things to get quite ugly. We’re losing the policy war because the politicians who accepted AGW theory then drove through policies on the back of it are still either in office or influential to those who are. AGW policies won’t go up in a cloud of smoke overnight. They will lapse at approximately the same rate it takes to remove the guilty people from office and the contracts they’ve dished out to run down and expire. new people come in and enact new policies. That takes time. By then the guilty will be long pensioned off or dead. So Dr Ball, prepare for the long haul. PS Thanks for the great work you post here and elsewhere. Always a fine read / education. I suspect it’s from invoking the name of “R.V.”, as there are those who have made the “boorish” part of the “always check contents” troll filter due to OT and/or excessive comments, and invoking their names triggers the filter. Which is understandable as replying could initiate a slew and a swath of OT and/or overly-energetic debate. Using the full name of “vuk” will trigger it, for example, no offense meant. I suspect it is for using my name in your post, I have been designated for the mods attention for some months now, ( v…. word is the trigger). If you have ever read any of my posts, you will know that I am reasonable and objective. Whilst my political views are of no materiality, I could have voted for Thatcher. I did not. I have never once stepped through the doors of a conservative club, so I find the implications behind your comments distasteful. It was you who brought up this particular slant of political bias, and my comment was merely corecting the bias that you yourself have introduced, and bringing some objectivity in to it, for the benefit of those who are not familar with UK politics, and how the voting system in the UK is skewed against the conservatives. Suggesting that someone is a decisive figure, often means little at all since everyone is devisive if you judge them against extremes. But to judge against extremes, is to introduce a bias. Had i wished to introduce some political spin, as opposed to remaining wholly objective correcting the bias introduced by you, I could have commented upon what a basket case the UK would now be, but for the Thatcher government, or that more industry was closed down under Labour than under Thatcher etc.etc. But I did not. I did not want to side track the thread with pure political issues. Normally, I enjoy reading your views. You are one of the commentators whose name I look out for (perhaps there are about dozen whose comments I always look out for), but I have seen in the past the chip on your shoulder that you carry against Thatcher, if I recall correctly you were in the coal industry, so no doubt that helped forge some of those views. It is unfortunate that you do not keep those chips to yourselves, your commenst would (in my opinion) be the better for that. I don’t think anyone bothers with my website, even I can’t find my way around it any longer. The [website] has no commercial value, purpose of the ‘talktalk’ link was for easy googling my past comments, so wouldn’t contradict myself too often. On the RC blog I am permanently relegated to the Bore Hole, but for different reason. And finally, having a cat of the same breed as our host is no entitlement for a special treatment so sitting in moderation is fine with me. Then, that was followed by richard verney attempting to induce irrelevant and pointless defence of the long-ago and best forgotten Thatcher governments in the UK: some die-hard Thatcherites still mumble into their pints while sitting in darker corners of Conservative Clubs, but even the Conservative-led UK government now tries to pretend that she and her policies never existed. The remainder of your post I am answering is equally fallacious. Importantly, your post attempts to continue the side-track which my reply had tried to kill. You are trolling, and I now understand the explanation provided to me by kadaka (KD Knoebel) at July 25, 2014 at 5:05 am which is here.